It seems like lightyears since we last saw success in the Kansas football program. Part of the disappointment, undoubtedly, goes back to the revolving door of the football coaching staff. But KU has also had another glaring hole in recent years: the quarterback. It is certainly difficult to develop a quarterback. There are many things that go into finding a true leader and contributor at the quarterback position. So, while recruiting as most definitely been a struggle at that position, the most diehard KU fan will always continue to draw hope from the future. This article will certainly address the possibility of hope for the Kansas program, in the form of a quarterback. Mark Mangino, likely the most recognizable former head coach of the KU football program, was undoubtedly the most successful at producing solid quarterback play. Many will remember the Mangino Era in three different ways. One being the 2008 Orange Bowl victory, which is easily the most defining victory for KU football in recent history. Another memory most would have about Mangino is his reported “physical aggression” towards some of his players. But his most impactful achievement may lie in the development of Todd Reesing. Reesing was a true example of a face-of-the-program type of player. After being forced into action as a freshman in 2006, Reesing solidified his starting position in 2007 over Kerry Meier. From 2007-2009, Reesing took the Kansas football program to a 25-13 record. The 2009 football season began a large decline in the football program. Mark Mangino faced allegations regarding assaulting his players, which likely began to cause despair across the football program. KU finished with a 5-7 record, Todd Reesing graduated, and Mangino was fired. A season of change flowed through Memorial Stadium in 2010. Turner Gill, formerly the head coach of the University of Buffalo football team, was announced as the new face of Kansas football. Gill, who played collegiately at the University of Nebraska as a quarterback, was hired in hopes of continuing offensive success at Kansas. 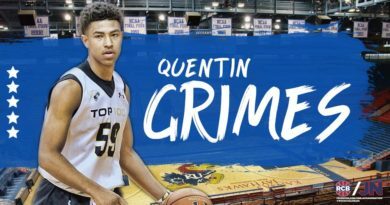 However, Gill struggled to find a true leader at the position, and went through three different quarterbacks during his time at KU. Kale Pick, Quinn Mecham, and Jordan Webb all got cracks at being the “next” Reesing for KU, but these three would only go on to compile a 5-19 record during Gill’s two seasons at KU. After Gill was relieved of his duties in 2012, KU went after more of a proven specimen for a head coach, which led to the hiring of Charlie Weis. Weis was coming from Florida, with a big resume of offensive success through college and the NFL. He was hired with the hope of having recruiting advantages due to the “NFL attraction” and in hopes of bringing in a quarterback that would help with immediate success. Through two full seasons at KU, Weis had some success with recruiting, mostly from the junior college level, but his tenure ended with yet another failure in finding a true leader at the quarterback position. Dayne Crist was Weis’ first quarterback of choice, coming over from Notre Dame, but Crist only produced one victory for the Jayhawks and was replaced for most of the second half of the season by Michael Cummings, who was a recruit of Turner Gill. KU would go on to finish 1-11 during Weis’ first season and Crist went on to graduate. The 2013 season looked more promising than the last, with another transfer, Jake Heaps, set to start at quarterback. Heaps was coming from BYU after losing his job to a freshman two seasons prior. Heaps came with two seasons of eligibility left, which looked to give KU some stability at the position. Kansas started the season by going 2-1 for non-conference play, then ended the season with a single victory in conference play, setting them at 3-9 to finish the season. With a few games remaining in the 2013 season, Heaps was replaced by true freshman Montell Cozart due to a lack of offensive production. Following the 2013 season, Weis relieved himself of offensive play-calling duties and hired an offensive coordinator from Rice, who specialized in the no-huddle, spread offense. Heaps, realizing that he had a disadvantage in regaining his starting job chose to transfer and eventually landed at the University of Miami. Weis and the Jayhawks ended the 2014 non-conference schedule with a 2-1 record. However, in the first conference game against Texas, Kansas laid an egg and was shut out, 23-0. Following the loss to Texas, Weis was relieved as head coach of Kansas, and Clint Bowen (defensive coordinator) was labeled as the interim. Bowen quickly opened a quarterback competition for the remainder of the season, which led to Cummings (then a junior) getting another shot at the starting quarterback spot and replacing the sophomore Cozart. Though Bowen ended the season with a 1-7 record as interim, he had accomplished something that the coaches post Mangino had failed to do. Bowen had found some stability at the quarterback position. On Dec. 5, 2014, Kansas officially announced the hiring of David Beaty. Beaty previously served as the wide receivers coach and recruiting coordinator for Texas A&M. He has made it known that there will be competition for the starting quarterback spot and has given none of his current candidates an edge. Michael Cummings will be a senior this year, and given his leadership going through most of last season, most would bet on him retaining the starting role. Beaty has brought in two quarterbacks during his first recruiting cycle and both have succeeded in a spread/Air Raid offense that will be similar to what KU will feature this season. Neither is proclaimed to be the next Todd Reesing, but coaching really impacts the outcome of a player’s career, more so than just pure talent. Reesing was an unrated player (via ESPN) coming out of high school in Texas, and his only recorded scholarship offer came from Kansas, though he had interest from at least two other schools. In recent news, Kansas has extended an offer to pocket passer, Skylar Thompson out of Independence, Missouri. BREAKING: 3-star 2016 QB Skylar Thompson @skylar_15 offered by #KUFBall. #Jayhawks are 1st to extend scholarship to @FortOFootball prospect. 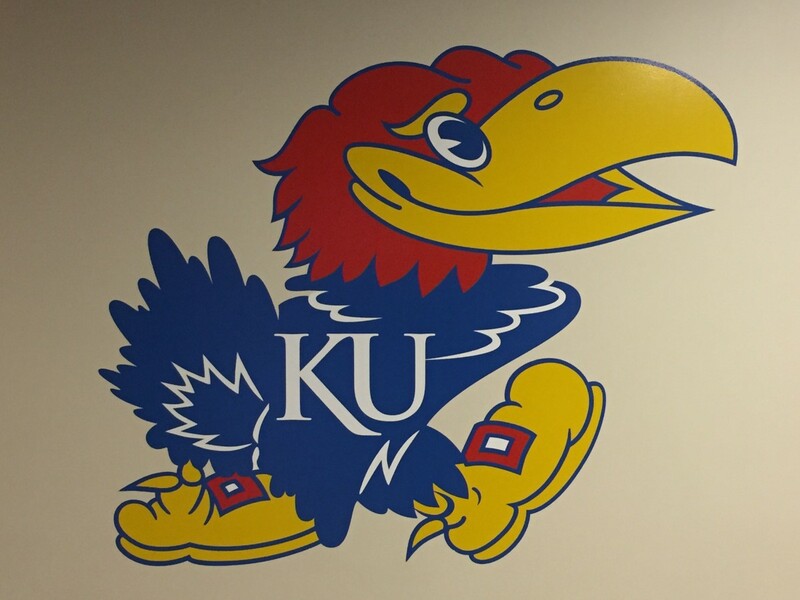 Through further research, Kansas has extended offers to four others 2016 quarterbacks. Many readers will wonder why Kansas is offering scholarships to so many quarterbacks from the state of California. There are assuredly many different speculations, but most of these quarterbacks were being recruited by Rob Likens, who hails from the University of California, but is now Kansas’ offensive coordinator. So, do you think KU will soon end the lack of leadership from the quarterback position? Is the next Todd Reesing on campus, or is he on his way in 2016? *All stats via ESPN, unless otherwise noted.